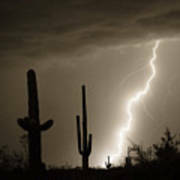 Wow, we artists have always worked at painting lightning, you have written the book on it for us!Thanks! Amazing and classical. Thanks for your visits and comments Wil! 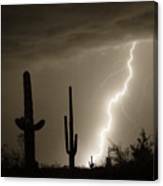 A striking desert lightning strike! 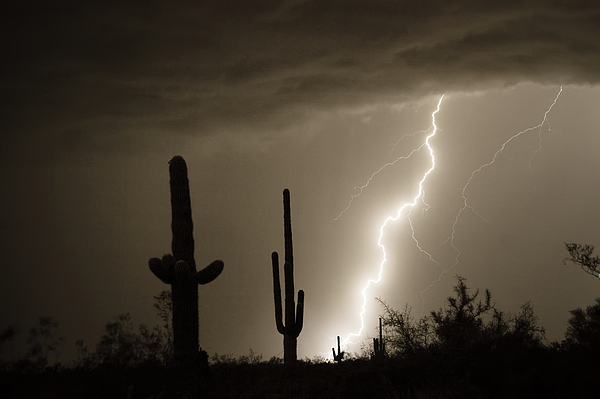 Lightning striking the high southwest desert with giant saguaro cactus. 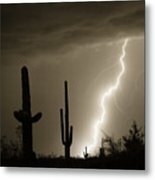 Buy this fine art lightning photography nature landscape in all sizes.